By now, most people realize that having mold in your home can pose a serious threat to your health. While not all forms of mold are toxic, some of those that grow in houses are, especially black mold. Through medical and scientific research, it has been discovered that continuous or long-term exposure to toxic forms of mold can lead to a long list of medical problems like migraines, breathing issues, seizures, cancer, and many more. Therefore, it is extremely important that you monitor your home for mold regularly to protect yourself and your family. Here is a list of the four top places that you could find mold growing in your home, and what you need to do if you do find any. Basements are notorious for growing mold because they often have the perfect climate for mold to grow and spread. 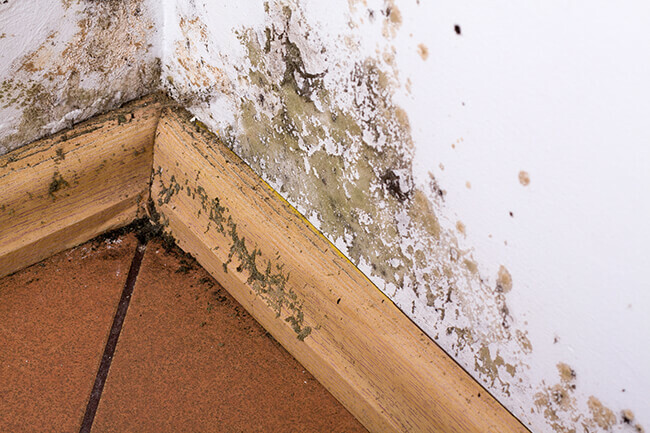 Since many basements are not used all the time, it is not uncommon for the mold to become widespread before the homeowner ever realizes it is there. It typically starts if a dehumidifier is not present in the basement. Other causes could be items touching the drywall and carpeting in the basement area. Kitchens are another very common breeding ground for mold because of the moisture. Typically, you will find mold starting to grow somewhere around the sink or the plumbing after a small leak. Many homeowners are shocked to discover mold growing behind their cabinets when they begin a remodel. Since you cook, eat, and spend a great deal of time in your kitchen, this is a very real danger that should be taken seriously. Your bathroom is probably one of the dampest rooms in your house. The shower is usually the first place that you will see signs of mold starting to grow. Check your shower curtain and your shower ceiling daily and attempt to air the area out. Another area is the bathroom ceiling itself. Proper ventilation is needed after a steamy shower. If you don’t have one, think about installing a bathroom fan on a timer or at the very least, leaving the bathroom door open after your finished showering. If you do find mold somewhere in your home, try not to panic. If the area you find potential mold is small enough, you can create some cleaning solutions to thoroughly clean the area. However, when you find large patches of mold growing in your home, it is time to call in a professional mold removal company to advise you on the best course of action. 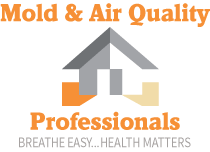 If you suspect you may have mold growing in your home, contact Mold & Air Quality Professionals today for a free in-home estimate.